Tribal fishermen used the cave nestled in the Upper Klamath Basin for untold generations. Now the spring run Chinook bones they left behind — some dating back 5,000 years — are providing a vital link between past and present in a race against time to save the fish that has disappeared from those rivers. Only two wild spring runs remain lower down in the basin and those contain just a fraction of the hundreds of thousands that once swam in the sprawling network of Klamath waterways that cover an expanse the size of New England. Standing in the way are a series of dams put up a century ago that block the so-called "springers" from their historic range in the far-flung reaches, where pools of cool, deep water provided the refuge they needed to reach maturity. These long-discarded caches of bones are not only giving modern scientists a glimpse into the salmon's past but, coupled with breakthrough advances in technology, they could help rewrite the evolutionary life story of a fish teetering on the brink of extinction. In a paper published Aug. 16 in the journal Science Advances, a team of University of California Davis scientists say they have found a genetic marker that shows the springers are what's known as an "evolutionary distinct unit" from their fall counterparts — akin to a separate species for conservation efforts — and warrant individual protections. The discovery of a genetic mutation in spring Chinook as well as summer steelhead that coincides with the fishes' earlier return to the rivers could have far-reaching implications for fisheries management up and down the West Coast. "It's only been in the last few years where we've had the technological power to study the genetic and evolutionary basis of important traits like migration type and explore how significant the loss of important genetic variants can be," says Tasha Thompson, a PhD candidate and one of the paper's co-authors. "Current conservation policies have not incorporated this newly-available information, and they're also insufficient to protect the kind of important genetic variation we identify in our study," she adds. "We hope our findings spur policymakers to come together and improve existing policy in a way that can account for this new information as it becomes available in salmon and other species." 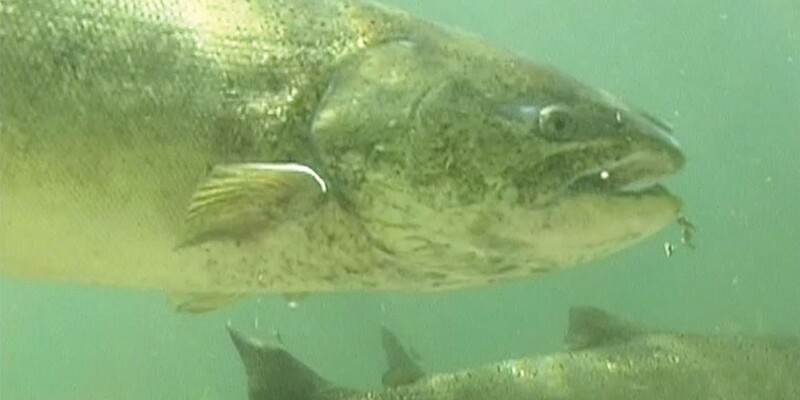 Based on the findings, the Karuk Tribe and the Salmon River Restoration Council have begun the process for adding the Klamath River's spring chinook to the Endangered Species List. "It's the only hammer the tribe has available to it," says Karuk Tribal Councilmember Josh Saxon. "We have an inherent right to these places and these fish, and with that inherent right means a responsibility to them." Just 110 spring run Chinook were found on the Salmon River, a tributary of the Klamath River, during a recent annual count, the second lowest number in more than 20 years of surveys. "They're hanging on by a thread," says Nathaniel Pennington, a spring Chinook specialist for the council and a Klamath Riverkeeper boardmember. Fall runs, while also compromised, are healthier in comparison. The issue is not that people are eating Chinook but that the dams impede the springers from reaching the upper basin. Gold mining, agricultural diversion and poor forestry management practices have also degraded the watersheds. "You could have no fishing allowed and that wouldn't solve the problem," says Craig Tucker, a natural resources policy advocate for the Karuk Tribe. Still, an Endangered Species Act listing for the spring run would likely send reverberations up and down an already ailing salmon industry. "The data is, in some ways, an inconvenient truth," Tucker says. "This is just the reality. ... The alternative is just to watch them disappear." A previous bid by environmental groups for the separate listings was denied in 2011. Tucker says the new data provides what federal reviewers described at the time as the missing link — evidence of an "evolutionary event that is unlikely to re-evolve" in a realistic timeframe that produced reproductive isolation between the two runs. "I don't see how they can reject this petition," Tucker says. To the novice, the two runs may seem indiscernible. But the spring Chinook returns earlier and sexually matures in the river — traditionally journeying farther into the upper basin on the swollen waters of snow-fed rivers — while the fall run comes in months later ready to reproduce. Springers also have about 30 percent more body fat — likely to support that longer swim — which ties back to the UC Davis team's findings on the mutation in a gene called Greb1L, shown to play a role in regulating metabolism. The research indicates the variant occurred in a single evolutionary event — some 15 million years ago — that appears to be connected to the spring run's "premature migration." Long story short, a biological phenomenon not only seems to have brought the springers in earlier and provided the fat needed to travel farther up in the watershed but the move also gave both runs an evolutionary advantage with more room to roam. 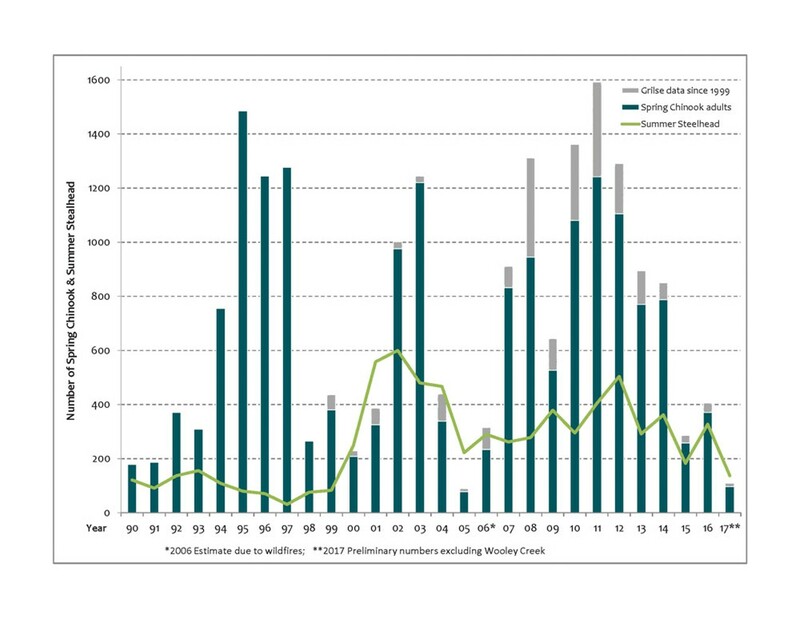 Meanwhile, conventional wisdom of federal fisheries management has been that some fall run Chinook would simply adjust to the springers' schedule if that run were to vanish. Now, the UC Davis scientists are saying it's simply not in their DNA. "Contrary to what was previously thought, if we lose spring Chinook and summer steelhead in the present, we can't expect them to reappear from fall Chinook and winter steelhead in the foreseeable future (it may take millions of years)," Thompson writes in an email to the Journal. For members of the Karuk Tribe, the findings come as no surprise. "The previous thought of, 'No problem, the fish fall run will repopulate,' is nonsense and we've known it was nonsense," Saxon says. 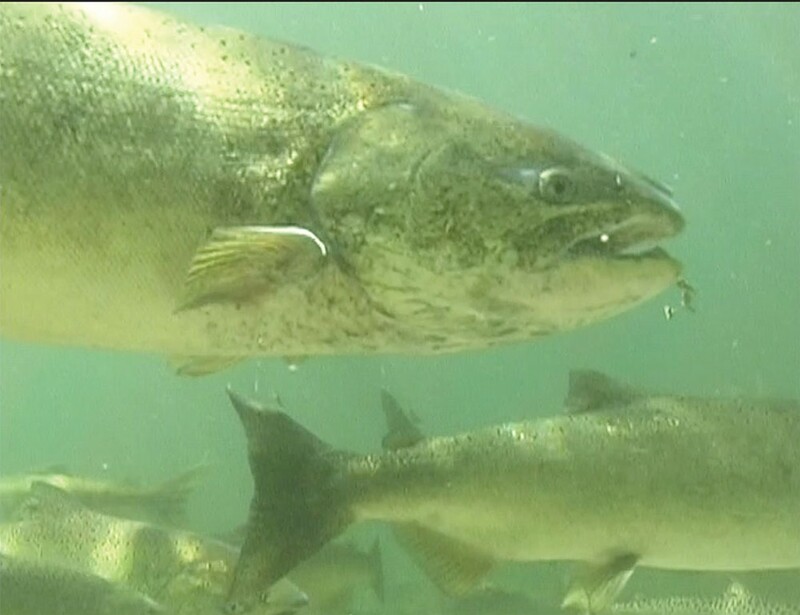 Native American tribes that have lived in the Klamath basin for millennia have long known that spring run Chinook stood apart from their fall brethren and called the fish by separate names. "Western scientists are having an epiphany," Tucker says. "The Native Americans are saying, 'We've been telling you this all along.'" So do the bones found in the cave above the Klamath dams. While the results are preliminary and the project is still underway, initial findings indicate the same gene mutation in age-old spring runs — some from historic times of 1860 to the early 1900s. Others date back 5,000 years. "We found both springers and falls up there, but the majority of samples we tested were springers, including the 5,000-year-old sample," Thompsons writes. She says the results validate "the excellent research that's been done on historical accounts of spring Chinook above the dam sites and agrees with the traditional knowledge of the local indigenous peoples." There's a good possibility, she says, the fish were up there even longer. "On the Klamath, spring Chinook were blocked from the upper basin by the first dam a little before 1920 — to a lot of people, that might seem like Chinook have been gone from the upper basin for a long time," Thompson writes. "But it's really only a blink of an eye in terms of how long Chinook were up there before. I hope this research will provide a useful measuring stick to help people understand the real depth of time those fish were up there before the dams were built." The hope now is to preserve the fish until the Klamath dams can be removed, allowing the spring run to return to those upper basin pools for the first time in a century. The monumental undertaking, believed to be the largest project of its kind in the world, is currently slated to begin in 2020. Saxon says the ESA listing will play a critical role in bringing back the once dominant run to the Klamath basin. Imagine, he asks, what would happen to the local economy if those fish numbered well into the thousands in the future. "We're going to need the community support just as much as we need the science," he says. "We're going to need people to be supportive of a change in mentality in how we conserve our fish resources." The fish are not just a source of sustenance but an important facet of native cultures whose traditions are integrally linked with the ebbs and flow of nature. The ultimate goal, Saxon says, is restoring the spring run population so everyone can enjoy the fish. "That was the deal that was struck: Humans were going to take care of this place and this place was going to take of humans," Saxon says. Kimberly Wear is the assistant editor and a staff writer at the Journal. Reach her at 441-1400, extension 323, or kim@northcoastjournal.com. Follow her on Twitter @kimberly_wear.